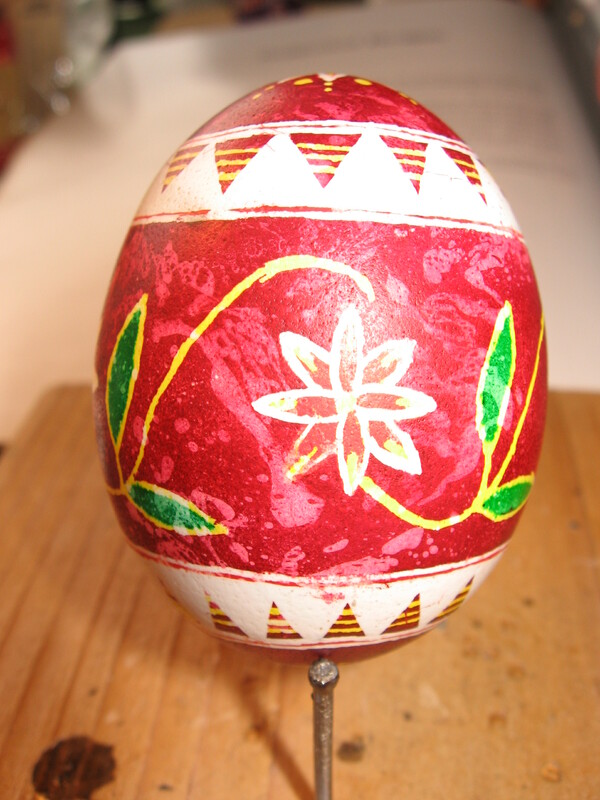 Since I was 7 or 8 years old, every year during Lent I would make pysanky, or Ukrainian Easter eggs. 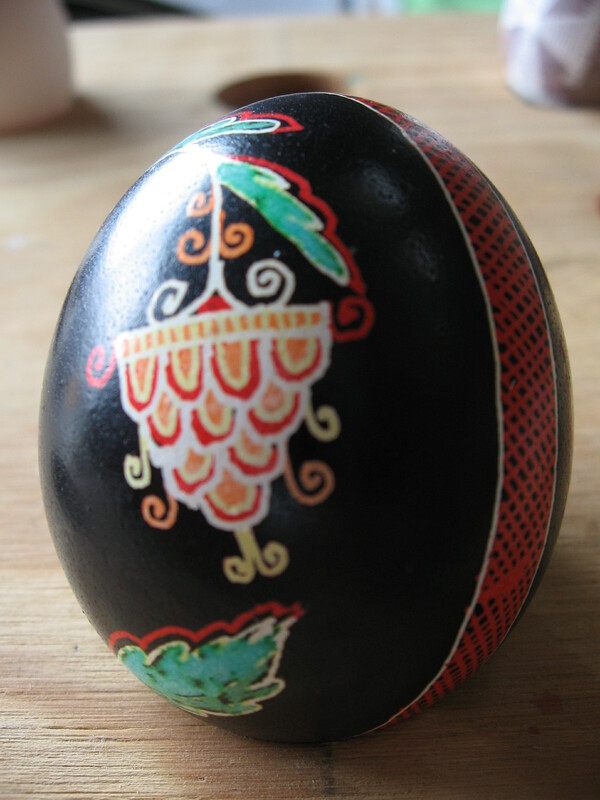 I could write a million things about pysanky, but I’ll save those for another day. For this post, let it suffice to say that I haven’t made the eggs in years. 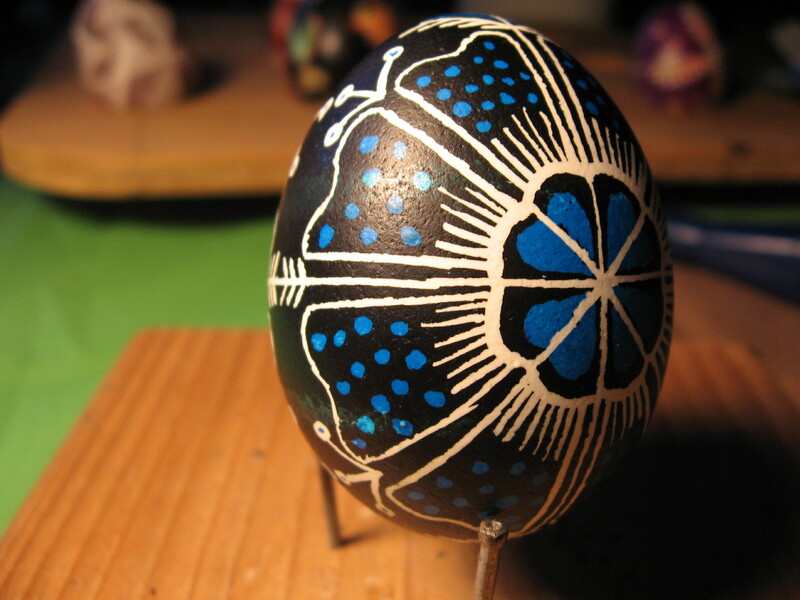 During college I was never home during Lent, and pysanky aren’t something you can do over a single weekend. It’s a long process with lots of equipment. So now, after 5 years, I’m starting again. 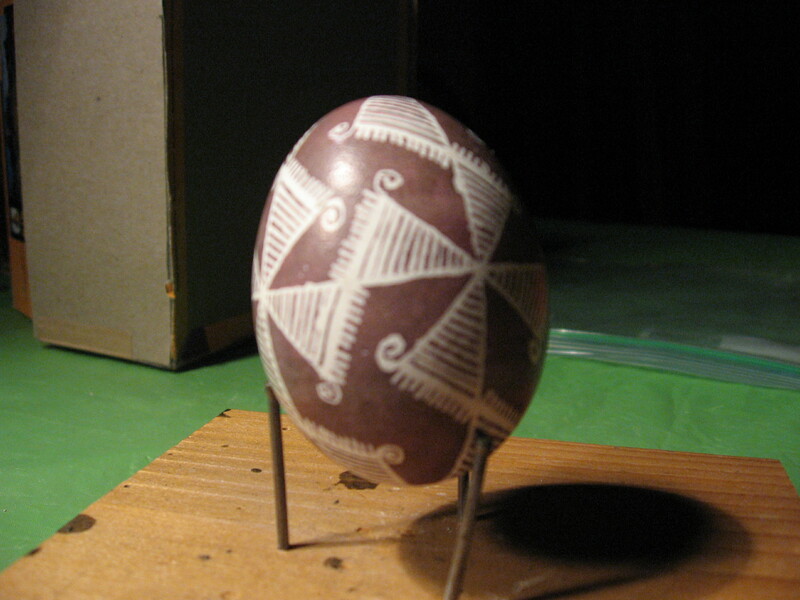 This is the first egg I made. As I mentioned, my dyes were bad and none of the colors were taking. The last color I tried was dark green (which you usually don’t do, but since it was already messed up I thought I’d try) and ended up with pukey lavender. But the design is nice! 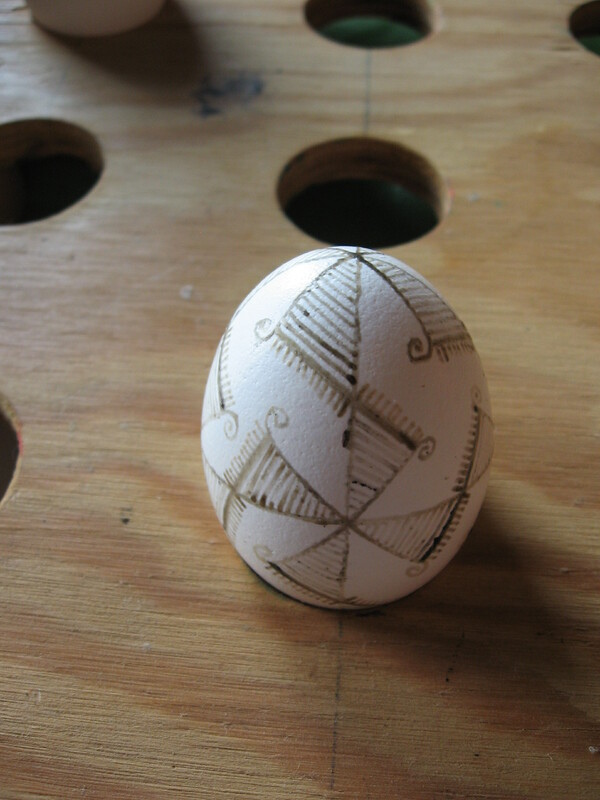 These next two eggs I was able to make at my aunt’s house during the Super Bowl, before my dyes came. I love this purple color! This next egg I was a bit disappointed with. Wax kept splattering where it wasn’t supposed to go and I scratched it off, so I got a weird swirly effect when it went in the dyes. I plan on making this design again, but here it is anyway. 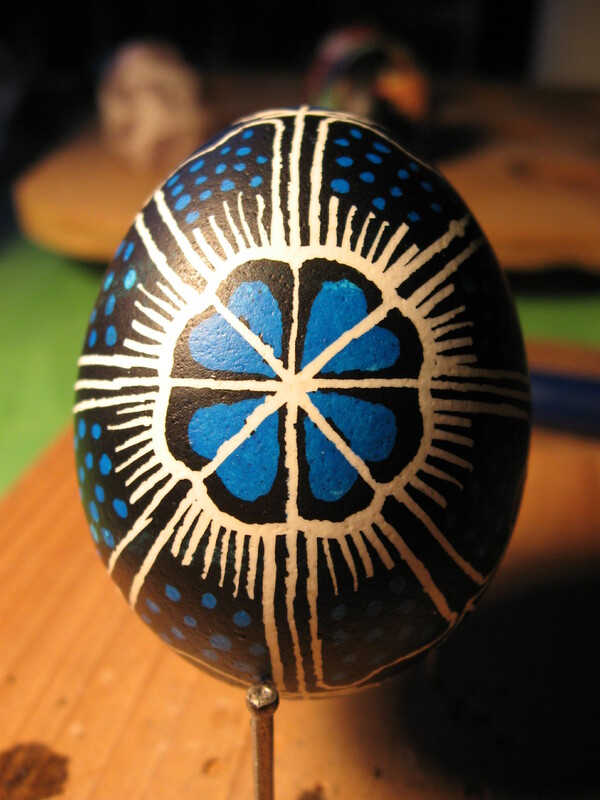 This final egg is my favourite so far. I love the blue color. Stay tuned for more eggs and some tutorials! February 20, 2010. 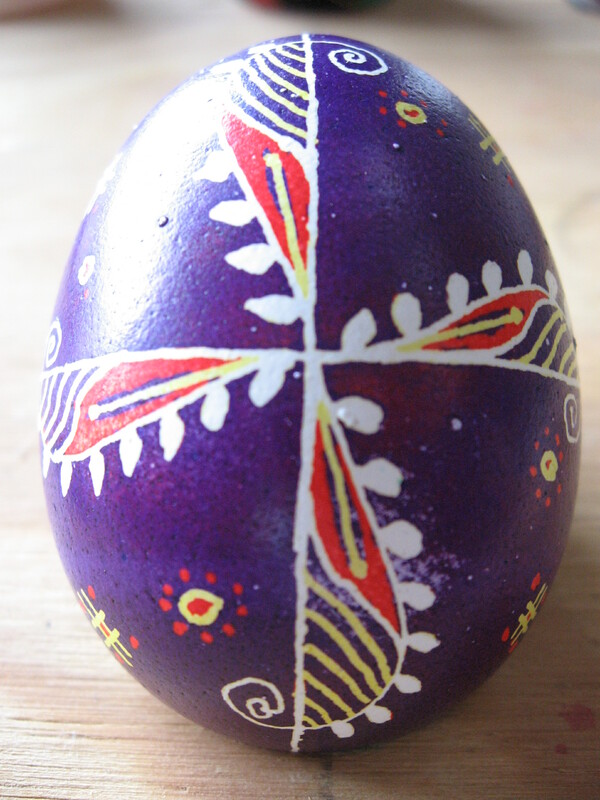 Tags: easter, egg, eggs, Pysanky, Ukrainian. 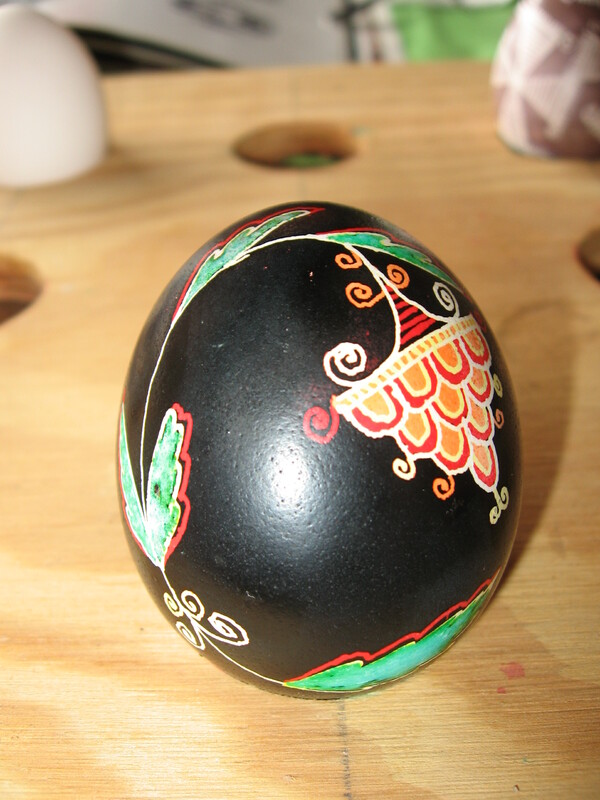 Crafts, Pysanky. February 21, 2010 at 1:21 am. Permalink. 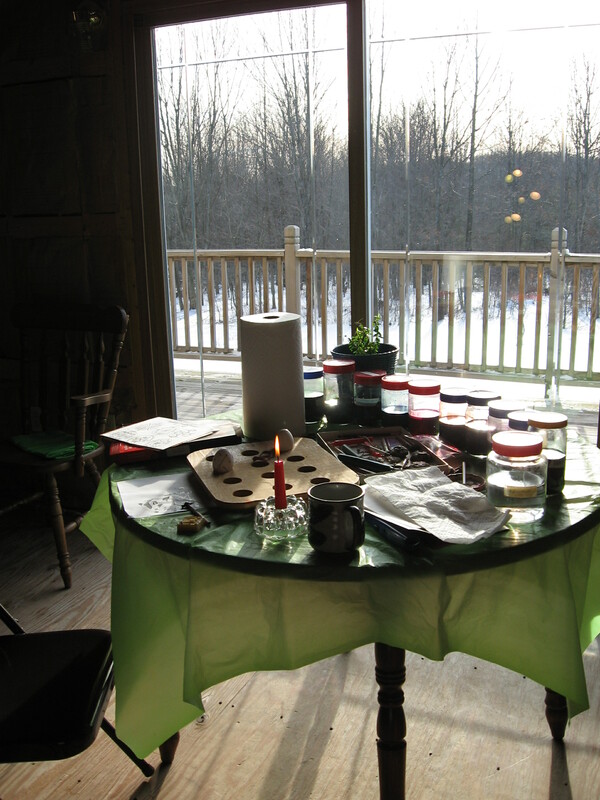 I’ve worked with my aunt’s electric kistka and totally plan on buying one for myself when I have the money. But thanks for the tip! February 21, 2010 at 2:10 am. Permalink. I been planning on taking a class for years. I believe that I can make the Easter Eggs with a good kit.Have Grandkids now and want to spend time making Easter Eggs with them.It’s a good memory I can leave for them. Question; What makes the eggs shiny after the coloring? April 23, 2011 at 11:53 pm. Permalink. I used a spray-on varnish. This is necessary if you’re going to blow the eggs out because the dyes are water soluble and will run from egg inside when it comes out. It’s also a good idea in general otherwise the colours will run if you get water on them. April 23, 2011 at 11:59 pm. Permalink.